A pharma company had an add-on biologic to treat COPD, asthma and a number of further indications. The requirement was to analyze the product’s pricing potential. The product had already launched as an add-on for asthma. A recommended optimal pricing strategy was needed for both COPD and further indications. The customer wanted to see whether the prices in COPD and further indications would be similar. 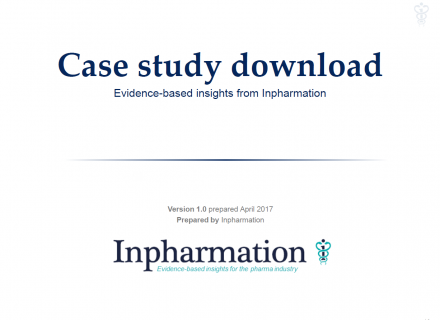 Considering the features of the additional indications, and the incremental clinical benefit demonstrated by the molecule in each, Inpharmation calculated the likely reimbursed price level. Pricing potential in 2 additional indications. 1.Recommend a single price for a specific target product profile. 2.Highlight drivers which, if uncertain, could lead to variance in the price recommendation. A single price recommendation per country. 1.Research the options available to achieve indication-specific prices in each country. 2.Model how the indication-specific prices interact in each country. Please find attached a full copy of this case study. If you would like further details about the methodologies and services described, then we would be delighted to hear from you on +44 1494 682 080.